From The Bulletin of Pharmacy, 1922. 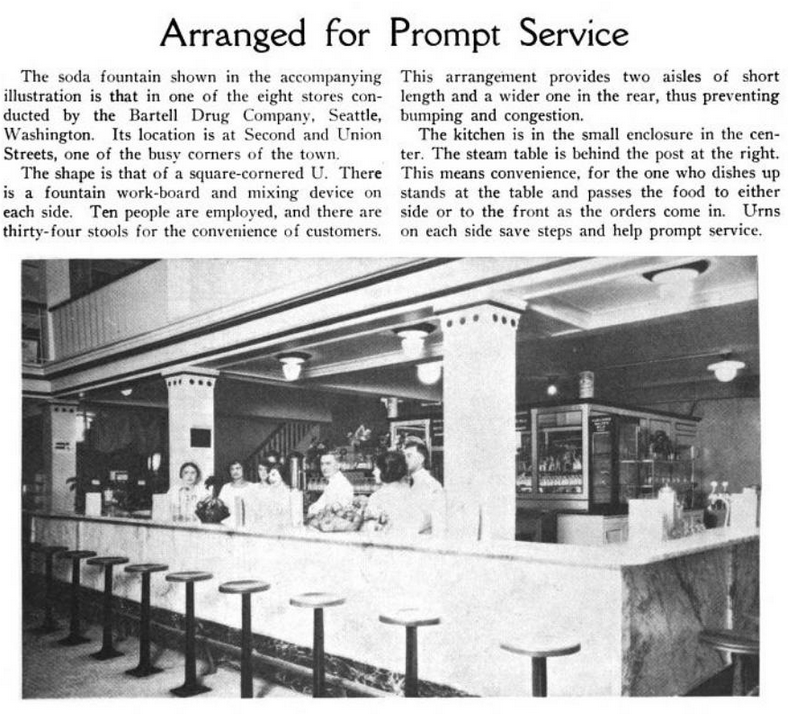 Bartell Drugs is still in business, but, sadly, there are no soda fountains remaining at their stores. There is no longer a store at Second and Union, but there is one a block away on Third.